Hip Dysplasia occurs when the ball and socket of the hip joint don’t fit properly. This malformation can cause pain and lameness, eventually becoming arthritic. There are several options available to help alleviate the problem. Pain killers and restricted exercise are two methods used. Another is removal of the head of the femur. Today, acupuncture is available to ease pain. Still another option is hip replacement in chronic conditions. Administering Glucosamine/Chondroitin may also be helpful. Since genetics plays a major role in the development of Hip Dysplasia, when purchasing a puppy, ask for a certificate that will guarantee the ancestors of your dog are free of Hip Dysplasia. 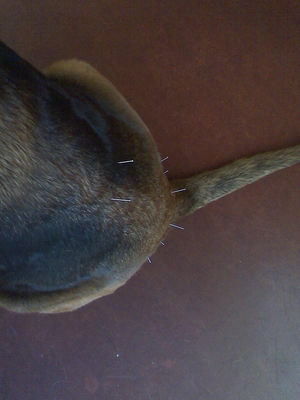 While there is really no guarantee that your dog will not develop the problem, it helps to know the chances are small. Unfortunately, disreputable puppy mills breed dogs only for money and are not interested in the health of the dog. Please investigate the breeder before acquiring a puppy. Please don’t support the puppy mills – they are cruel and inhuman. Work is being carried on to help close these places. The problem of Hip Dysplasia is usually seen in large breed dogs, but some smaller breeds can suffer from this as well. The list of dog breeds prone to Hip Dysplasia is quite long, but I will try to list as many as possible – Norwegian Elkhound, Otterhound, Rhodesian Ridgeback, Akita, Alaskan Malamute, Anatolian Shepherd, Burnese Mountain Dog, Black Russian Terrier, Boxer, Bullmastiff, German Shepherd, Giant Schnauzer, Great Dane, Pointers, Chesapeake Bay Retriever, Curly and Flat-coated Retrievers, Golden Retriever, Labrador Retriever, English Setter, Gordon Setter, Irish Setter, American Water Spaniel, English and Welsh Springer Spaniels, Irish Water Spaniel, Sussex Spaniel, Spinone Italiano, Vizsla, Weimaraner, Basset Hound, Black and Tan Coonhound, Bloodhound, Harrier, Irish Wolfhound, Great Pyrenees, Greater Swiss Mountain Dog, Komondor, Kuvasz, All Mastiffs, Newfoundland, Rottweiler, Portuguese Water Dog, Saint Bernard, Samoyed, American Staffordshire Terrier, Kerry Blue, Norfolk Terrier and Norwich Terrier, Cavalier King Charles Spaniel, Pug, American Eskimo Dog, Bichon Frise, Bulldog, Shar Pei, Chow Chow, French Bulldog, Australian Cattle Dog, Australian Shepherd, Bearded Collie, Beauceron, Belgian Malinois and Tervuren, Border Collie, Bouvier des Flandres, Briard, Old English Sheepdog, Puli, Shetland Sheep Dog, Welsh and Pembroke Corgis, Dogue de Bordeaux. As you can see by this list, many breeds can be affected by Hip Dysplasia. X-rays will tell if your dog has this problem. Elbow Dysplasia – In newborn puppies, some bones are in several pieces with cartilage in between that eventually hardens and fuses into bone. When this does not occur properly, problems arise, as in the elbows. Treatment can vary from mild exercise to surgery. Elbow Dysplasia is generally seen in large breed dogs. Some breeds affected by Elbow Dysplasia are Burnese Mountain Dog, Black Russian Terrier, Bullmastiff, German Shepherd, Great Dane, Mastiffs, Newfoundland, Rottweiler, Saint Bernard, Chow Chow, Australian Cattle Dog, Belgian Malinois and Tervuren, Bouvier des Flandres, Golden Retriever, Labrador Retriever, Basset Hound, English Setter, English Springer Spaniel, Irish Wolfhound, Otterhound, Rhodesian Ridgeback and Akita. As you can see, it is mainly large breed dogs affected by Elbow Dysplasia. If your breed of dog is listed either in Hip or Elbow Dysplasia (or both as my German Shepherd), this does not mean that your dog has this problem. 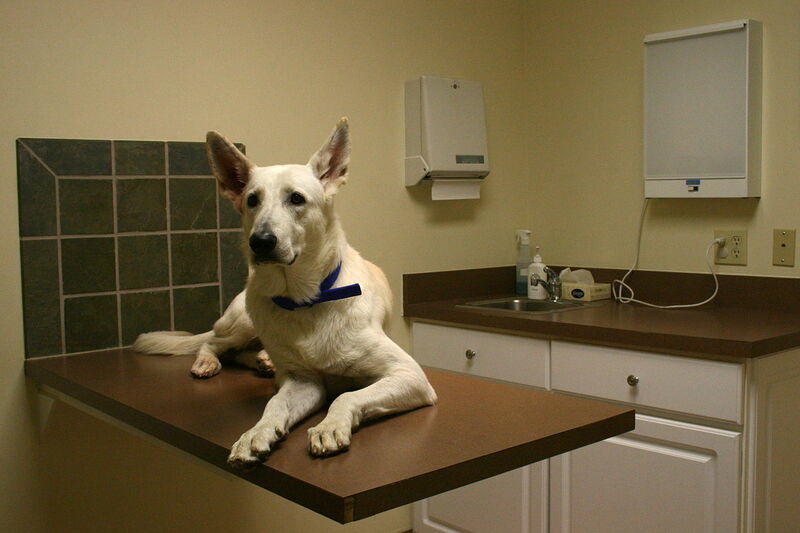 As always, consult your vet and take your dog for regular check-ups.